“James Bevel wasn’t perfect. Martin Luther King wasn’t perfect. That’s what I loved about getting to experience this film. You got to see the human beings.” Common could have easily added himself to that list of men he was describing. He’s made a career out of displaying his own humanity – both light and dark. “I always was asked what type of character would I love to play, and I always said a pastor. 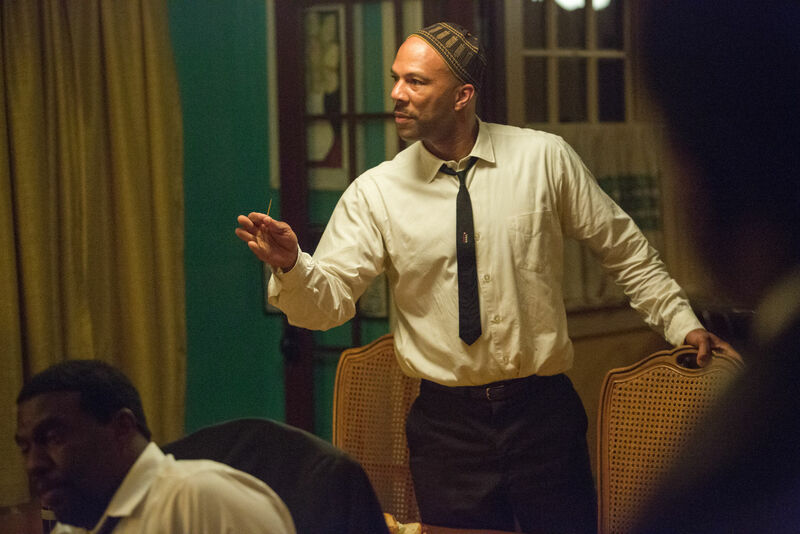 I wanted to play a more conflicted pastor,” Common told me when we spoke about his most recent project, SELMA. You can tell the rapper turned actor has a sense of the relevance his character has at this moment in history. A few days later, a friend of mine, who is an actual pastor, would voice to me the exact type of conflict over the situation in Ferguson, Missouri, that Common’s character brings to the historical James Bevel. In many ways, it’s the same internal conflict Dr. King faced. How does a man who publicly professes love, grace, and forgiveness lead in the face of violence, bigotry, and racism? At various times in his life, Bevel displayed faith at its highest peak and at its lowest valley. In all fairness, the same could be said of Noah or King David. Common expanded on this idea, “The spirituality in my music, the experiences that I went through as a person – they, all that prepared me to play a pastor, because, you know, my foundation IS God and my spirituality. But I also know that I’m human. You know, I make flesh mistakes just like the best of us. I mean that’s really what prepared me more than anything.” Part of the challenge he faces in portraying a man so key to the civil rights movement is that Common knows what will become of Bevel later in life. He knows the final chapters in Bevel’s story will not be worthy of celebration. Our society tends to view the lives of it’s members in a very linear fashion. What a man does in the third act of his life tends to be what he is remembered as. How then do we view the other chapters of the man’s life? Those chapters that benefitted humanity greatly? Those chapters that changed people’s lives? Common chooses to approach Bevel as the man was at the moment in history we see him living. Bevel’s conflict is in walking out his faith in the midst of struggle. The conflicts that will trouble Bevel years later are left aside. I suppose each day has enough trouble of it’s own. James Bevel wasn’t perfect. Martin Luther King wasn’t perfect. Common isn’t perfect. And I’m not perfect. All of us are conflicted. Sometimes we make the better choices in our conflicts and sometimes we don’t. I suppose that’s what makes us all common. SELMA is currently playing in Los Angeles and New York. The films opens nation wide on January 9, 2015. This piece is part of an on going series on the film, SELMA.